“Me fifth element – supreme being. Me protect you.” Quoted LeeLoo in the Fifth Element. This film was directed by Luc Besson and the music is beautifully composed by Eric Serra. One thing that I absolutely adore of this soundtrack is the exotic nature of the instruments and how they go together with the film so well. The film score can be very haunting at times and sinister, much like a character in the film who isn’t really given a name but is called The Darkness. I’ve found this soundtrack to be filled with multiple elements of music genre’s. Hip Hop, Jazz, Light Rock, Electronica, Opera, and Pop, along with Classical and Spoken Word. These are elements of the score that help define the film. Would you like one clip for the road? You may wonder where do I look for my research for finding new soundtracks? I have a list of links that you can find various soundtracks that are either in print or no longer in print. First I give you the obvious one. The next link I can provide is this one. There is a great link at this site. I’ve had trouble finding certain soundtracks so many of these links have helped me find the ones I look for. Another great site is found here. That is a true resource for upcoming soundtracks and even ones that have been released. I have subscribed to their newsletter to be kept up to date on soundtracks I simply adore. I know this isn’t like my normal posting but I’ve been doing a special project with Blogging 101 to give my blog a better view and get more coverage of places you can go for great soundtracks. That’s all for today everyone! Hope you like the links I’ve given you and check out my normal post on Sunday’s. This Sunday is Big Trouble in Little China. See you then and Happy Listening! Previous Previous post: Upon the Dragonheart I Stab At Thee! Yes, it’s part of my first podcast in regard to soundtracks. I have not recorded yet, Been really busy lately. My wife and I are going to do it soon. Just fyi. okay, so it’s not on your first podcast? or it is? It is going to be on my first podcast, it’s just not made yet. It’s am ongoing project, I’m not done with it yet. The podcast had not been made yet. 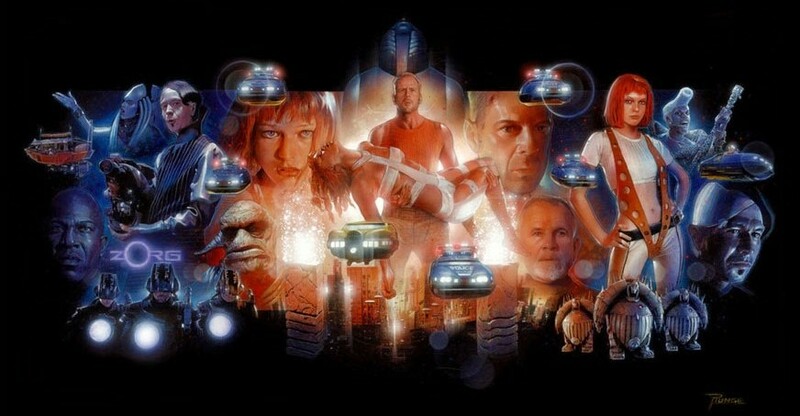 I just love The Fifth Element! Maybe because it’s so quirky. Maybe because it has Bruce Willis. I don’t know, but it’s a good combination either way!